But Larry Summers warns it's no slam dunk that China and India will continue with their red-hot growth. In fact, history suggests otherwise. "History teaches that abnormally rapid growth is rarely persistent," Summers and Lant Pritchett wrote in a paper published on Monday by the National Bureau of Economic Research. 1. Don't ignore history: By analyzing the records of dozens of countries, Summers and Pritchett make the case that great growth is typically followed by "meh" growth. They use the example of a baseball slugger who has a hot streak for 20 at bats, which boosts his batting average by 50 points. The hot streak looks good on SportsCenter, but baseball fans still know he'll return to his average over the next 20 at bats. In economic jargon, that phenomenon is known as "regression to the mean" -- and it's quite powerful. Economic forecasters too often rely on a country's recent growth record to predict the future, instead of accounting for this tendency to return to the average. When it comes to economic growth, Summers and Pritchett argue that "past performance is no guarantee of future performance." That's the same warning investment banks give clients about stock returns. So while China and India might keep going gangbusters, the research shows that a "substantial slowdown" is more likely for both countries. If the rapid growth does stop, the economists' work suggests "declines are more likely to be sudden and large than gradual and small." The financial crisis shows how "risks of downside scenarios are often very vastly underestimated, just as the fragility in systems is underestimated," the paper said. China is probably due to take a breather, given that it's been going gangbusters since 1977. In fact, it may be the only 32-year streak of super-rapid growth "in the history of mankind," Summers and Pritchett wrote. 3. Politics: If China moves towards democracy, it could be very messy for the country's economy. "We are pointing out the very dangerous shoals through which the Chinese economy is currently sailing very rapidly," they wrote, while cautioning that they are not predicting a major more towards democracy. 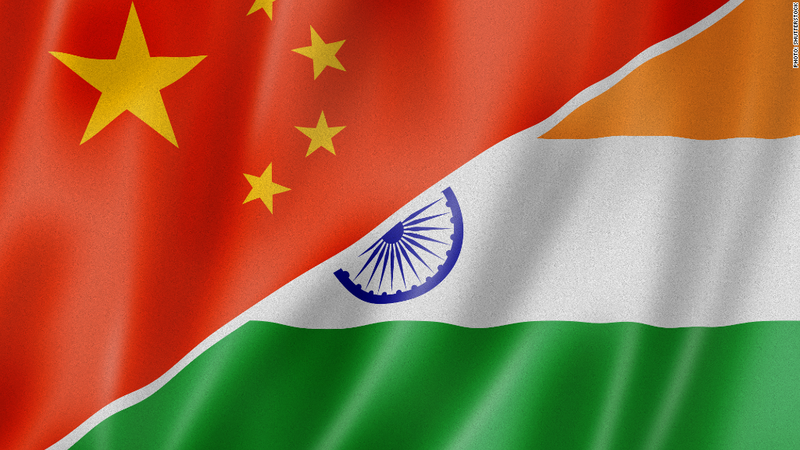 Trillions at stake: If China and India continue to grow rapidly, their economies would obviously be much bigger in 20 years. China's alone would swell to an unbelievable $60 trillion by 2033 -- or roughly three times the size of the U.S. economy today. However, if the Asian giants slow down drastically -- as Summers and Pritchett suggest -- China's economy would be "only" $20 trillion in two decades. The difference between the bullish and this more conservative forecast for China and India is a whopping $42 trillion. And that impact is even bigger when you consider how much China and India impact global demand for resources like oil and metals.